Four; 4 questions out of the 30 questions in the Patient Care and Education content area come from the Physical Assistance and Transfer sub-topic. A radiation therapists’ understanding of patient transfer and movement is relevant to patient care. A review of patient transfer and movement touches on body mechanics as well as transfer techniques. 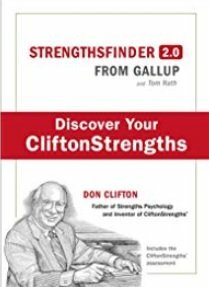 Body mechanics can be defined as the use of one’s body to maintain balance as well as control while producing motions that are safe and efficient. The objective for any movement is transfer safety. The radiation therapist (health care worker) as well as patient must never be compromised; which means, if you are in doubt as to the level of assistance require, get more help. 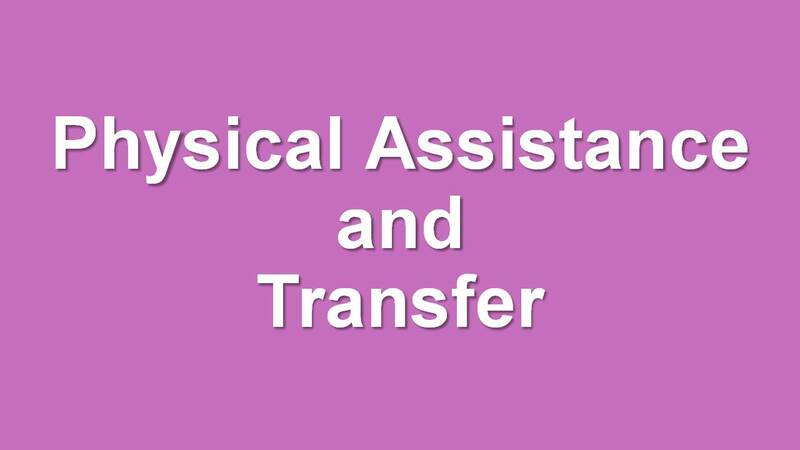 There are three levels of transfer; namely, independent transfer, assisted transfer, as well as dependent transfer. 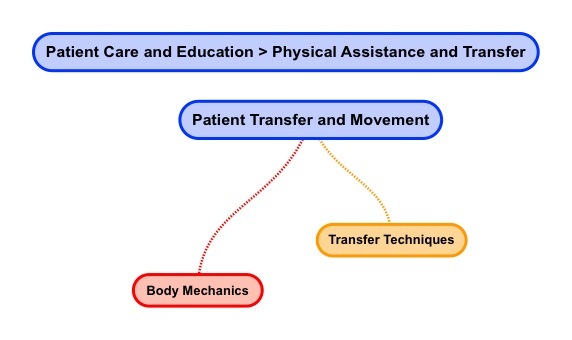 Independent transfer means that the patient performs all aspects of the movement. 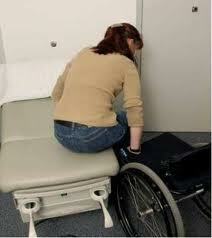 Assisted transfer means that the patient actively participates but still needs assistance with the movement. Dependent transfer means that the patient does not participate with health care workers performing all aspects of the transfer. 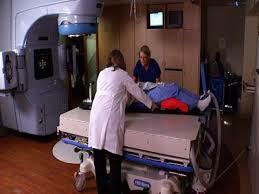 A radiation therapist needs to know how of how to assist patients with medical equipment. 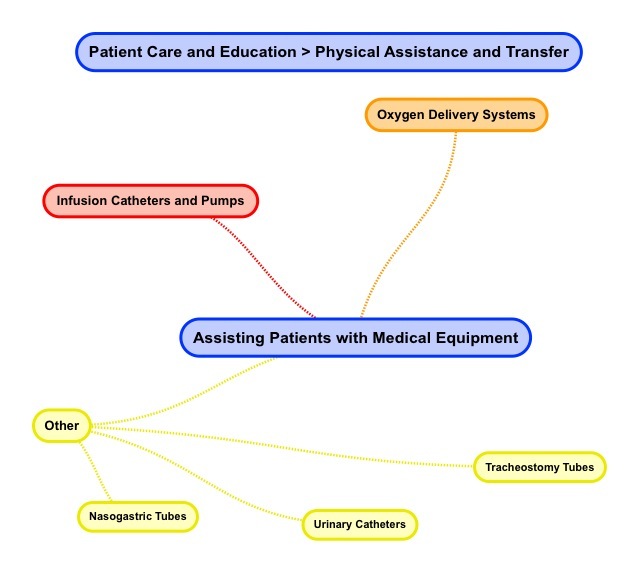 Commonly encountered medical equipment includes infusion catheters & pumps, oxygen delivery systems, nasogastric tubes, urinary catheters, tracheostomy tube, as well as chest tubes. Our review of assisting patients with medical equipment is cursory. Learners are encouraged to conduct a thorough review. 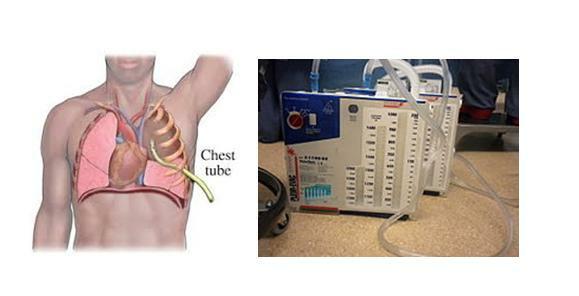 There are a variety of oxygen delivery systems. Two common oxygen delivery systems are a standard nasal cannula as well as a venture mask. The standard nasal cannula works by increasing the inspiratory oxygen fraction. An advantage of the nasal cannula is that it does not impede coughing or eating. The venturi mask mixes oxygen with room air. An advantage of the venturi mask is that it works well for mouth breathers. Exercise care to ensure that oxygen lines are not pinched and patients can breathe normally during radiation therapy treatments. Use gloves when handling oxygen lines to prevent infections. A nasogastric tube or NG tube is a plastic tube inserted through the nose, past the throat, into the stomach. A nasogastric tube is used for feeding as well as the administration of oral medications. A syringe is used for injection as well as aspiration (sucking). A NG tube may be placed in patient who has swallowing or xerostomia issues and is unable to accept food normally. A nasogastic tube can also be used for aspiration of the stomach contents. The aspiration collector bag is placed below the level of the patient’s stomach. Use gloves when handling a nasogastic tube to prevent infection and ensure the tube does not get caught and pulled. An NG tube may also be connected to an injection feeding or medicine pump system or to a suction drainage system.